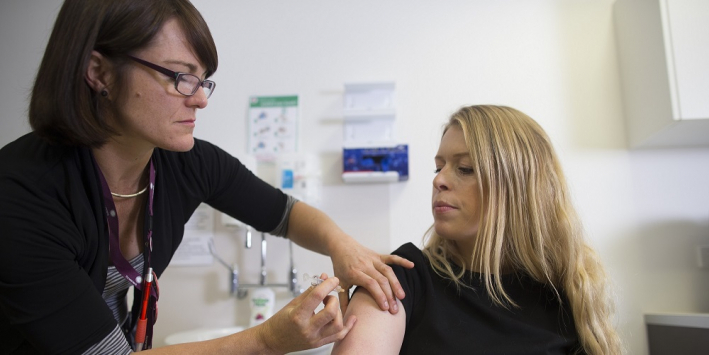 The Women’s took part in a large, global trial of a new human papillomavirus (HPV) vaccine, which has found it could cut the rate of cervical cancer by a further 23 per cent compared to the existing Gardasil vaccine. From its beginnings in 1856, the Women’s has been at the forefront of medical endeavours to provide treatment and care for all women and their babies. It was the first, and it is now the largest public hospital in Australia dedicated to the health and wellbeing of women and newborns. 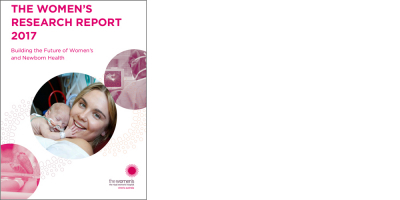 The research report highlights some of our many achievements in research in 2017, showcasing how our research findings are translated from the ‘bench to the bedside’, becoming everyday practice, not only at the Women’s, but in hospitals all around the world. Most importantly, it clearly demonstrates how our research makes a difference to the lives of thousands of women and newborns. This year, our theme is ‘building the future of women’s and newborns’ health’ and this reflects our vision to push the boundaries and continuously improve outcomes for women and newborns now and into the future. Research plays a fundamental role in the achievement of this vision and is key to finding new and better ways to care for our patients and save lives. As one of Australia’s leading specialist hospitals for women and newborns, and a member of the Melbourne Academic Centre for Health, we are in a unique position to advocate for funding and escalate the profile of research that benefits women and babies. We actively work to increase the profile of our research and promote women’s and newborn health agendas at state and federal levels. It was gratifying to see the issue of endometriosis research and treatment receive considerable focus at the Federal Government level recently, and the Women’s will continue to play a key role in 2018 in realising the goals of the endometriosis national action plan. In 2017, the Women’s 10 research centres were collectively awarded $18.9 million in competitive grants. We published 231 peer-reviewed medical papers, supervised 79 students, and conducted 61 clinical trials with more than 3100 patients participating. Many of these activities have led to further research projects, with a number of completed studies directly influencing clinical practice. Our research is continually changing the way we care for our patients within our hospital, and at other hospitals and health facilities around the world.